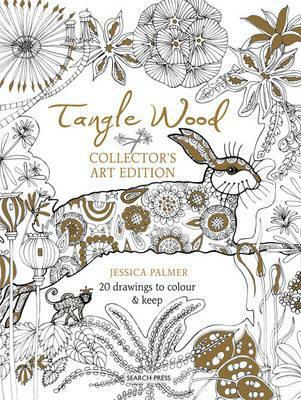 Your chance to win a copy of the Collector’s Art Edition of Tangle Wood! To celebrate the fantastic news that the Tangle Wood Facebook page has received more than 5000 “likes” Search Press is giving away a free copy. To find out more click here. The Tangle Wood Collector’s Art Edition is also Search Press’s Book of the Week. To go to the Search Press site click here.